Trains are a love of Leo’s that he won’t be shaking anytime soon. He absolutely adores anything and everything that features them, and he loves playing with them just as much. If you look at Leo’s car box you will be met with multiple trains of all different shapes and sizes, all muddled amongst his Disney Car’s collection. 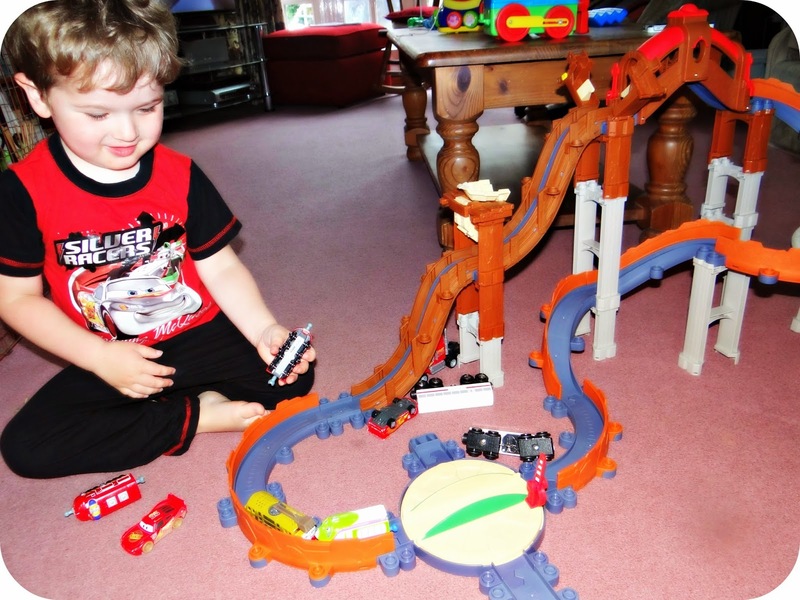 One of his train loves happens to be Chuggington, so when the chance presented itself to play test the Chuggington Rescue at Rocky Ridgeset I instantly knew that we would be accepting. The set retails at £39.97 at Asda and from the point of ordering arrived very quickly. Once the set arrived I soon realised that it was much bigger than I had been anticipating, and of course this reflected in how difficult I found putting it together was. I tried to follow the instructions but my building ability let me down, and I decided to hold fire until Luke could put it together properly for Leo. It really is one of those toys that you want your kids to leave in once piece once it has been built! 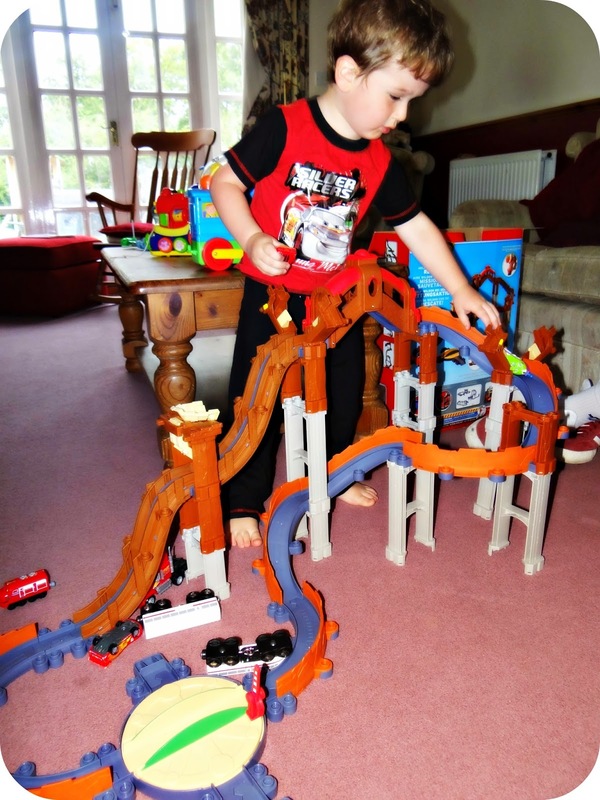 Leo was so excited when he saw the Chuggington set ready to play with in the living room, so much so that he had been parading a number of his other trains up and down the tracks before it was even complete. The set has provided hours of play value since it’s arrival and from a parent’s point of view, it is a nice solid structure for kids to let their imaginations run away with them (as well as their trains!). For the money I think you do get a lot of track, and a generous amount of accessories, and that also includes Wilson Chugga which was a very welcome addition. 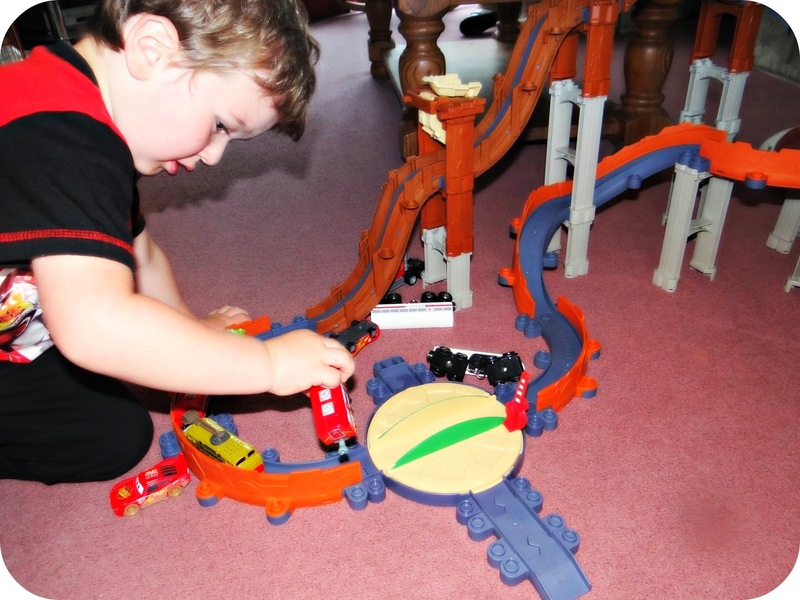 The main purpose of this set is to let the trains free fall around it, there are some nice curves and hills that really make Wilson pick up speed. What I really liked is that the trains stuck to the track and didn’t fall off the sides like I have noticed with other train tracks. This meant that Leo could play without getting frustrated that trains were flying here, there and everywhere, and I could relax and watch him playing. Once it is all together it can be moved around, but pieces do tend to fall off. I have also noticed that the track can sometimes fall out of position if it is played with too vigorously. 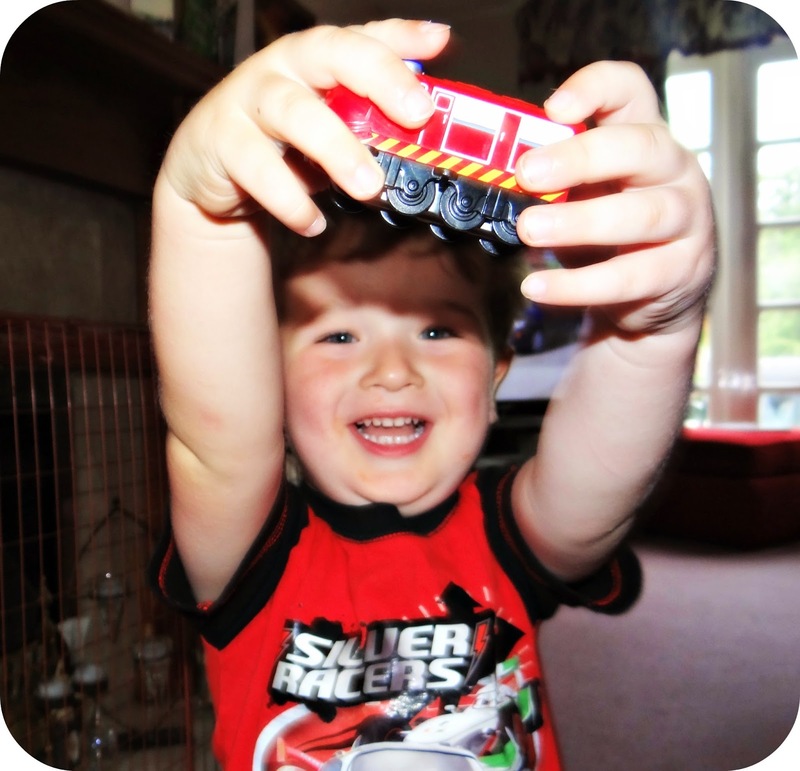 This hasn’t caused us any issues though and it is a much loved addition to Leo’s train collection. All of the other Chuggington trains you can see are trains that we had prior to receiving the Rescue at Rocky Ridge set, so you can add to your Chuggington collection over time. When I first set my eyes on the price I thought that £39.97 was a bit steep for a kids train track, but now having actually seen the size and quality of the set I am rather impressed. The only bit I dislike is just how many pieces there are for it, and just how tricky I find putting it together. 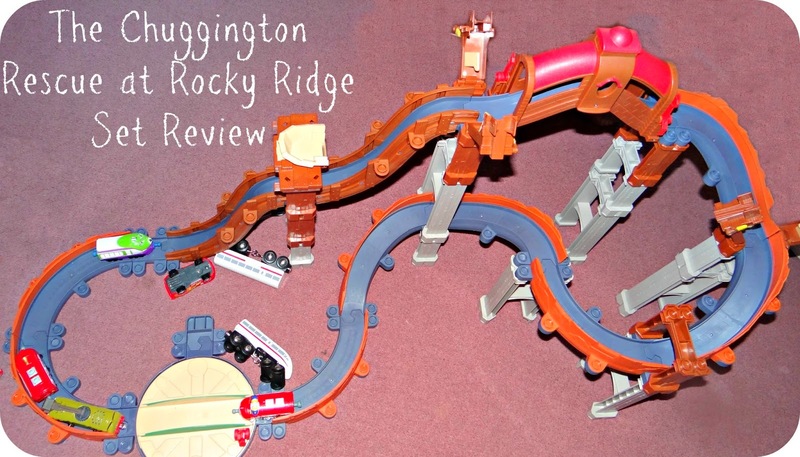 Disclaimer: We were sent the Chuggington Rescue at Rocky Ridge Set for the purpose of this review. All views and opinions expressed are completelt honest and my own.